Rep. Jeff Justus, a Republican, represents part of Taney County (District 156) in the Missouri House of Representatives. He was elected to his first two-year term in November 2012. In addition to his legislative duties, Rep. Justus is the president of L & J Plumbing Supply. Rep. Justus has numerous accomplishments during his time in the Branson area including: Branson Chamber, Small Business of the Year; Past Chair for Small Business; Past President of Branson-Hollister Rotary Club; Past President of Downtown Branson Main Street Assoc. ; Past President of the Branson Historic Community Improvement District; Branson Advisory Park Board; Past Chairman of Table Rock Lake Area Chamber. Rep. Justus attends First Presbyterian Church where he is a lifelong member. Rep. Justus was born February 18, 1954 in Springfield. 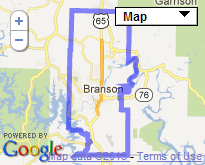 He currently resides in Branson with his wife, Glenda. They have two sons, Glenn and Jacob, and a daughter, Rebecca.